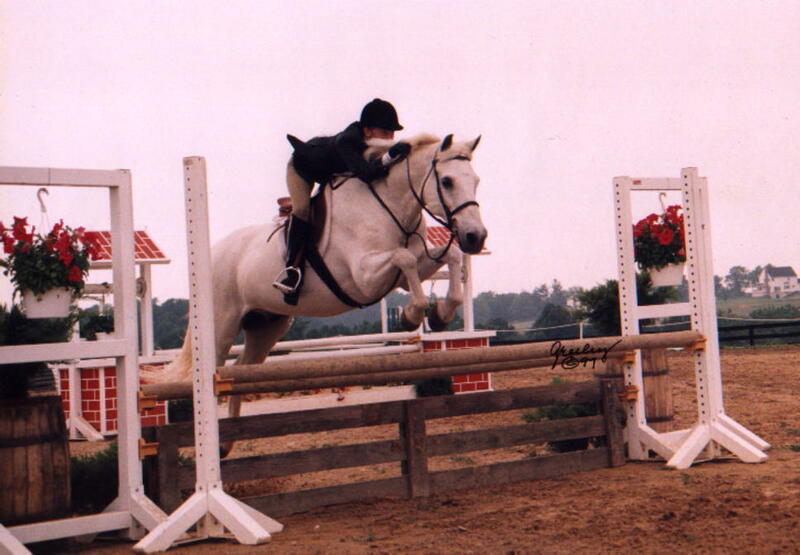 Our primary business is Training Welsh and crossbred ponies for the hunter and hunt seat equitation disciplines. Our goal is to develop quality, sound ponies who are safe and competitive for the children who fit them best! We choose only the highest quality breeding - to acquire looks, brains, and athletic ability. We develop sound, good minded, well rounded athletes by using effective and efficient training methods. To ensure these qualities in our athletes, they grow up in an environment that not only provides routine one-on-one care and handling but also encourages them to "go out and just be ponies" on a daily basis. Please browse our site for more information on ponies for sale, lesson and training availability. Please contact me, Karen Story for any further information.